So you’re keen to buy a stand-up paddleboard? 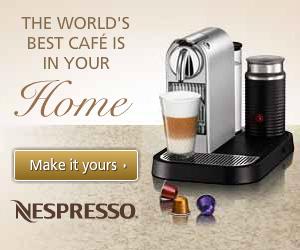 That is great, but now comes the tricky part – finding the best one for you. Not all paddle boards are the same. They come in a variety of shapes and sizes plus different materials. But choosing a paddleboard doesn’t have to be an overwhelming decision. Read through the following guide on what to consider, and you’ll be out on the water in no time. 1. How Will You Use the Paddleboard? There are 3 basic types of stand-up paddleboard based on how they will be used – Surf, All Around, and Race paddleboards. It is important to pick the board according to the type of paddling you will do. Surf SUP’s tend to be shorter and narrower than the other styles which gives them less stability. They are perfect if you intend to paddleboard in the surf most of the time. The narrower nose and tail helps with guiding the board through waves. 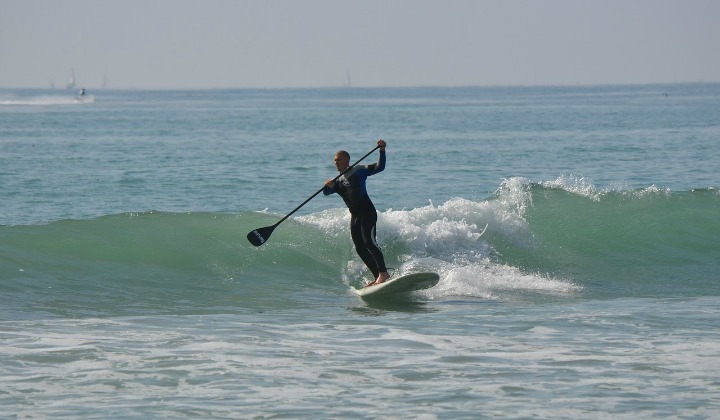 An All Around SUP can be used in both surf and flat water. They are longer and wider than surf SUP’s and great in all sorts of conditions. So if you intend to paddle in a variety of water conditions and locations, this is the best board. Last, the race board is for more advanced users. These are much narrower making them hard to stand on and less stable. If you are planning to paddle mainly on flat water, a longer board (All Around) will glide better. Shorter boards will turn more in the water and are therefore more suited to wave/surf conditions. When looking at stand-up paddleboards, the term ‘volume’ is often used. The volume is determined by the width, thickness and length of the board. An increase or decrease in any of these will alter the volume of the board. There are two considerations when it comes to board volume – your body weight, and the type of paddling. Most brands have a sizing chart that makes selecting the right board for your body weight easier. A board with higher volume can carry a higher weight. 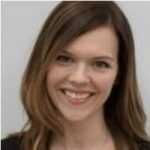 This might be important if you are looking to carry a dog or child on the board. Higher volume boards will float better, but are less responsive. This makes them best for flat water. The type of materials used to construct a stand-up paddleboard can influence price, weight, durability and performance. It is therefore important to have at least a basic understanding of what to look for. Many boards have a foam core as this gives the paddleboard its buoyancy. The core is then covered with an outer shell which can consist of several different types of materials. A polyethylene (plastic) outer gives a board good durability while providing protection against knocks and bumps. It is also the most affordable option. In contrast, a fibreglass or epoxy outer shell is not as heavy as polyethylene but also not as durable. The benefit of a fibreglass finish is the board will be smoother and therefore move more effortlessly through the water. As a result, it reduces the amount of effort you need to put into paddling. Sometimes a board will have a carbon fibre or bamboo top. This helps to increase the rigidity of the board. Again, this makes paddling easier but the extra layers will also increase cost. Stand-up paddleboards have two types of fins – a centre fin and two ‘thruster’ fins on each side. If you are planning to only use the board in flat water, thruster fins are not necessary. These are used to steer the board in surf. If you are considering an All Around board, ideally it will have removable fins allowing the board to be used in all types of conditions. A key component of stand-up paddleboarding is the paddle. You won’t get far without it! Again, there are a variety of sizes and materials available. Some paddles are adjustable which is an important consideration if you are sharing the paddle with other people. With paddles, the rigidity or stiffness of the paddle is something to note. The stiffer a paddle, the less flexible it is which gives more power to your paddling. This is particularly important for more advanced users. Aluminium paddles are the perfect entry level option. They are a bit heavier and not as stiff as some of the following types. Wooden paddles are light and stiff and are the intermediate choice in terms of both price and performance. The next choice is fibreglass which are very light. They usually come with plastic blades and are adjustable. Carbon fibre paddles are the lightest and stiffest. These are the best choice for experienced paddlers as they don’t flex much at all. With the above tips, you are now more than ready to go shopping for your stand-up paddleboard and start enjoying the many benefits this activity has to offer. Keep in mind the key considerations of type, size, construction, fins and paddles while shopping to find the right board for you. And lastly, if possible, ask to take your chosen board for a test paddle. Have fun! What about you? 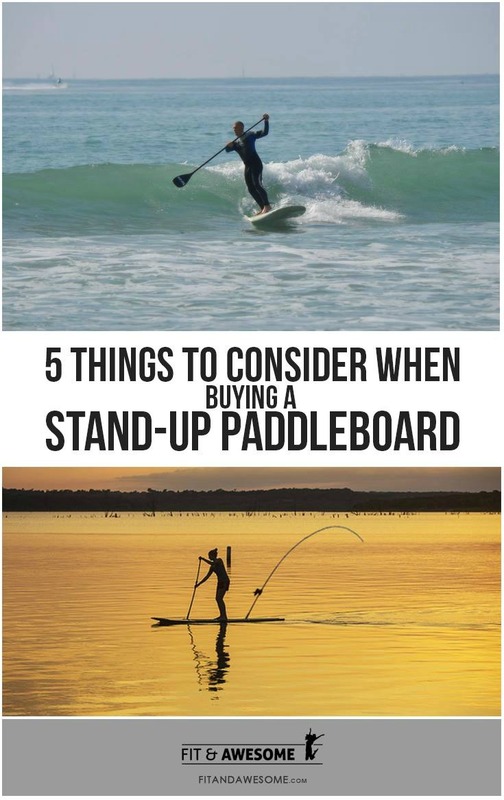 Have you purchased a stand up paddleboard before? What was important to you? Post in the comments and let us know.